After looking all of these different reviews I had strange feeling about our accommodation at Cristal Resort Ltd Zanzibar...but...everything was really great...ok, maybe not "everything" but me and my sister, we were really satisfied with stuff, beach, food...stuff was unbelievable friendly, talkative, willing...i don’t want to go home for that :) we were accommodated in eco bungalows without AC, so there were little bit warm, but we could expected that. 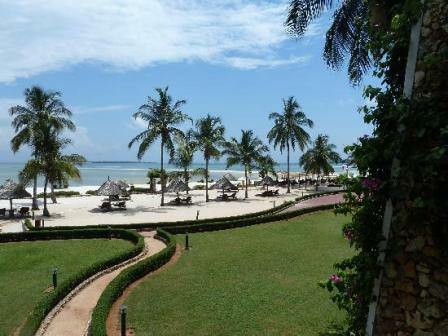 The Cristal Resort has got a nice beach and the overall setting is beautiful. We enjoyed the long walks on the beach, and the swims in the sea and the swimming pool. The Beach Rooms with AC are really nice, and very pleasant to rest after a walk in the heath. We had Half Board (HB), which we would really recommend, and especially loved the 3 course dinners. If you are looking for a place where you can rest, relax, recreate and reflect Cristal Resort is the place to be!